Extremely close clip. For veterinary surgical preparatory work. For veterinary use in surgical procedures. 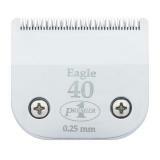 Use with our small clippers. Snap-On blades are self-tensioning which is helpful for new and experienced users. 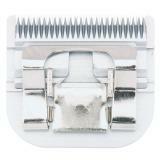 Clean blades immediately after use by using a small brush or blowing off any excess dirt or hair. Cover with oil to reduce risk of rust. High carbon steel clipper blades will rust overnight. Rust destroys both edge and polished surface of blades. 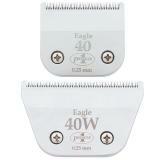 Store clipper and blades away from solvents, chemicals and moisture. Never leave them where they can be damaged by accidental impact. 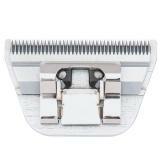 To produce a quality of the cutting edge on the clipper blades Premier uses an automated sharpening system for small blades. 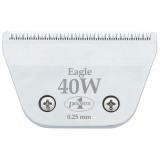 This eliminates human error during sharpening. 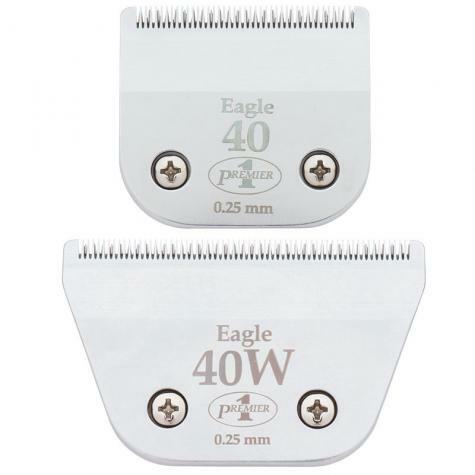 Warning: Clipper blades that have been sharpened by inferior methods or inexperienced people may be damaged to such an extent that they can never be restored to a satisfactory cutting capability. The same is true of blades that have become too heavily pitted by rust. Small, cordless clipper for clipping animals. Fast recharge of batteries. Block, trim, shave and prep livestock for the show ring. Cool running and quiet to reduce stress on the animal (and the user). With five adjustable speeds, the Andis® 5-Speed Clipper is a great choice for clipping around sensitive areas with a superb coat finish.